I am getting hooked on painting this very tiny ! :24 size pieces of my art ….. They are being very well received with lots of comments plus orders and commissions. 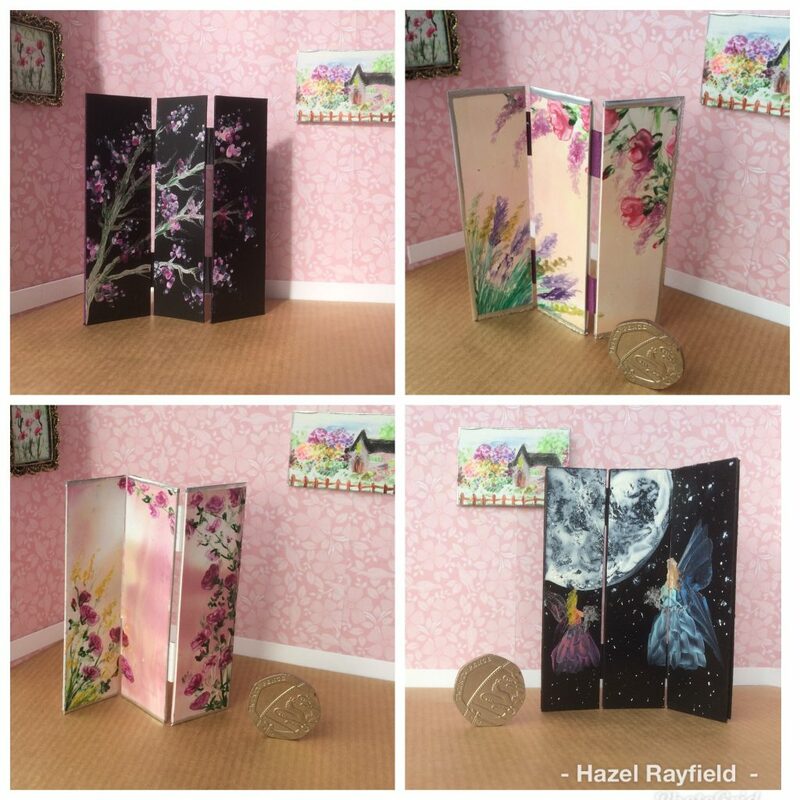 I do like to present my art i the best way possible so my husband and I made a little set to display them on, normally I paint to 1;12 scale so this is half that size and my Gallery and easels etc are the wrong scale to show these tiny pieces off. Bank Holiday weekend and it rained !! While I have been painting in miniature this weekend, tiny pieces for 1 24th scale dolls houses. 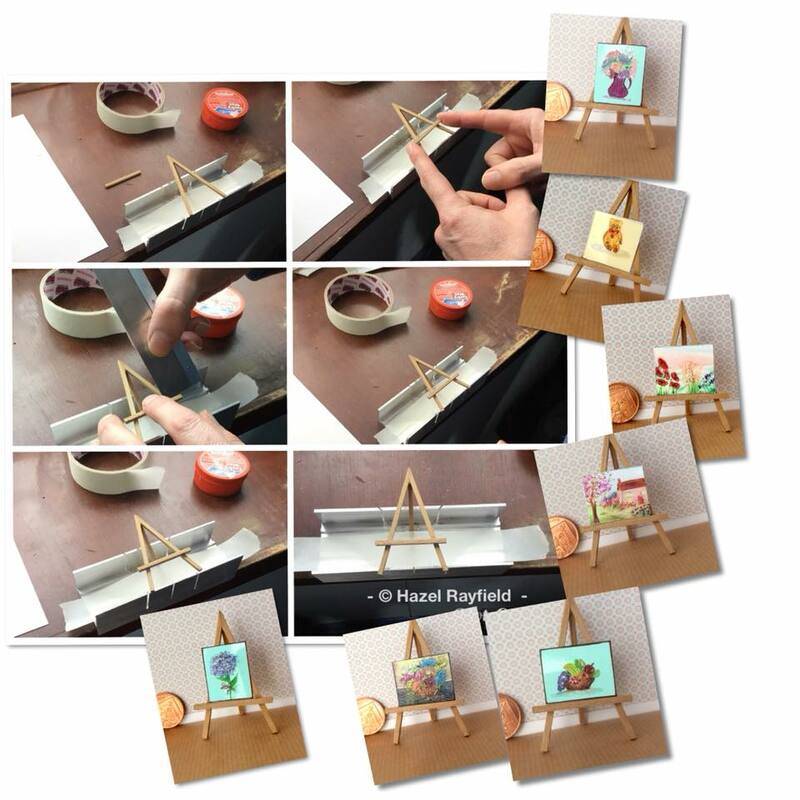 My husband Adrian has been building me a tiny easel to fit these miniature paintings for me to display them on for taking photographs. 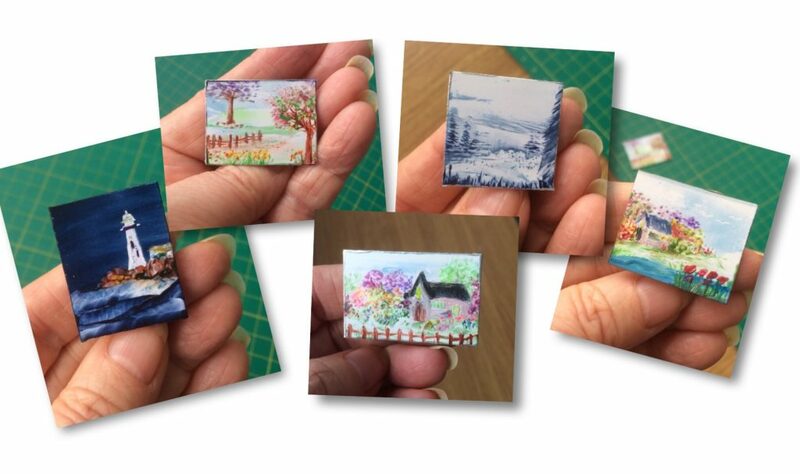 Some of these are already listed on Etsy in my Art In Wax Miniature Store….. for example of the sizes, Teddy bear is 1 inch square the others are all 1 x 1 1/4 inches approx. Miniature collectible miniature art painted in encaustic Wax paints.